You already know what’s coming if you have read the books. If not, please please do not get upset if you don’t get to see Henry VIII as often as you want in Wolf Hall, in particular the first episode. After all, this is Thomas Cromwell’s story. 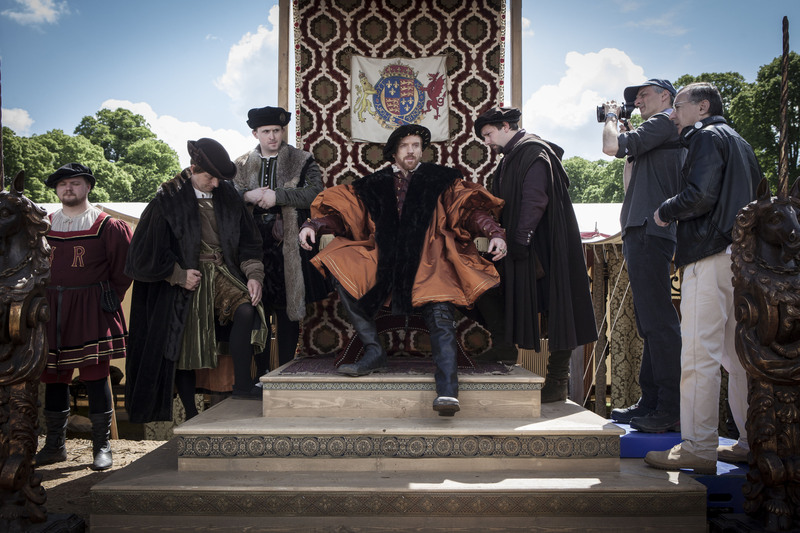 Having said that, even when he is not physically present, the king has a constant presence in Wolf Hall. Because, everyone is constantly gossiping about him. About his marriage… About his obsession with a male heir… About his mistress… One of my favorite gossips in the book is the following conversation between Thomas Cromwell and his wife Liz. So… Henry is there even when he is not there. Take episode 1: Three Card Trick. Let’s take a quick look at the plot from BBC2’s official Wolf Hall page. “Thomas Cromwell’s patron, Cardinal Wolsey, is dismissed as lord chancellor and forced to flee his palace at York Place. The old noble families of England, jealous of their own right to advise the king, have long waited for this moment. 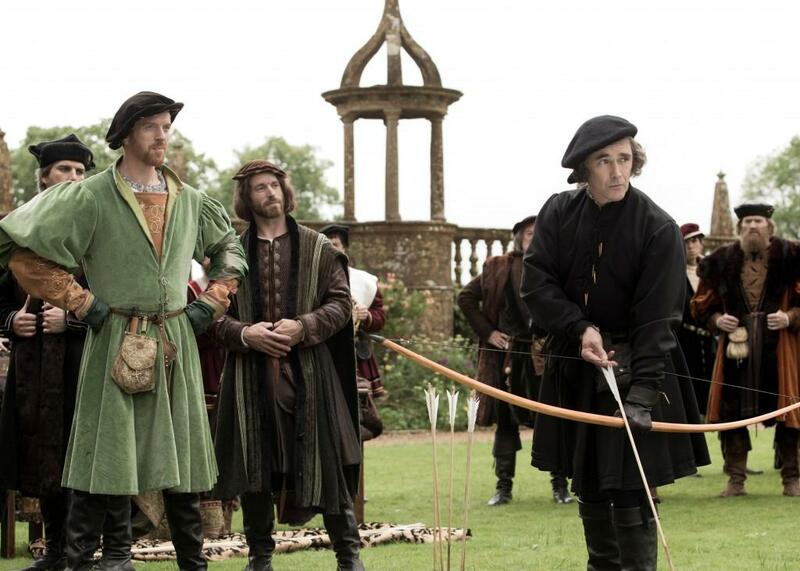 His hopes of returning to the king’s favour lie with the ever-loyal Thomas Cromwell. Eight years ago, when Cromwell started working for Wolsey, the cardinal made an enemy of Thomas Boleyn by chastising him for his daughter Anne’s far-from-virtuous reputation. As rumours circulated in court that Anne was secretly betrothed to Harry Percy, the cardinal insisted that no such match would be allowed. Still lacking a male heir, the king is desperate for an annulment from his marriage to Katherine of Aragon, claiming she was not a virgin on their wedding day. To Cromwell’s dismay, the cardinal’s efforts to persuade the Pope to grant the annulment are fruitless. An alliance between the Pope and Katherine’s nephew, the holy Roman emperor, diminishes the cardinal’s position even further. As Henry grows impatient, the pressure increases on the cardinal. To add to this, rumours reach the cardinal that the king’s new mistress is Anne Boleyn, who has sworn vengeance on him over Harry Percy. See? The king is all over the episode even though he appears for the first time in the last scene when Thomas Cromwell finally gets to meet him. 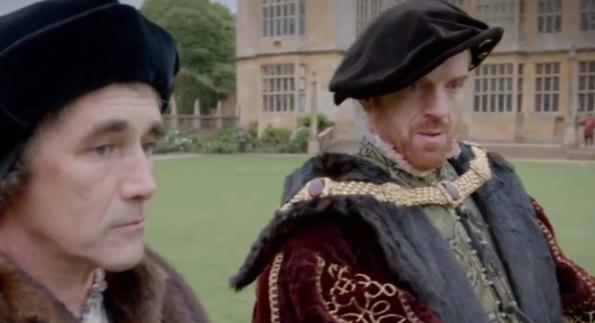 So, Wolf Hall‘s Henry is both a god-like king and a tender man as we talked about it earlier here. Believe me… He’s a KEEPER! 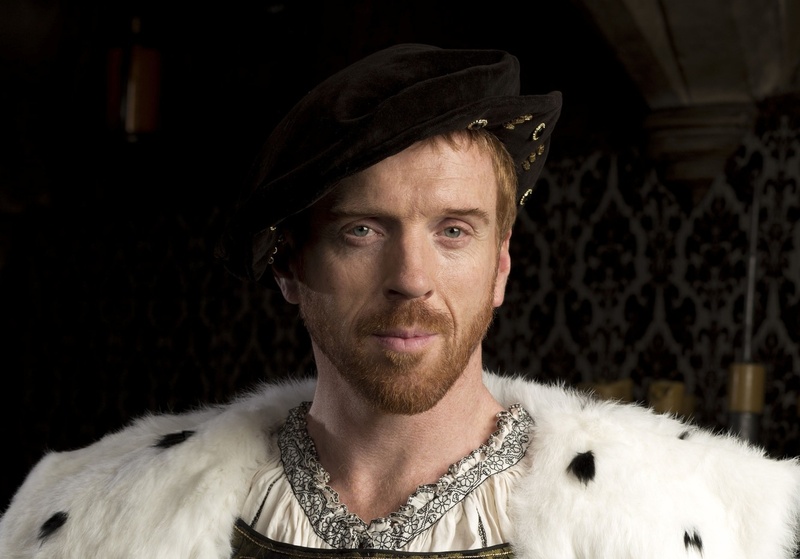 And, regardless of his screen time, I know Damian Lewis will be a remarkable Henry. The king will be believable, subtle, and human with Damian’s touch, and… Damian Lewis and Mark Rylance will storm it together! I am reading Wolf Hall nowadays for a second time and falling in love with Hilary Mantel’s wonderful prose and brilliant sense of humor all over again. And, you know what Hilary Mantel said of the BBC production?